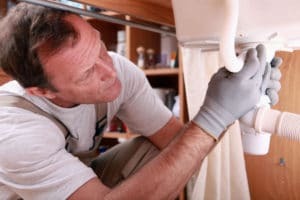 Finding the source of leaking water is critical because of the damage that it can do to your Capistrano Beach, CA home. Sometimes leaks are not visible to the naked eye, but you might notice an increase in your water bill or lower pressure from your faucets. Call the electronic leak detection pros 24/7 at (949) 371-8413. Our Capistrano Beach leak detection experts will arrive at your home on time and ready to deploy their expertise and inspection tools. The newest electronic leak detection technology allows us to locate the source of your leak without cutting holes in your walls or doing other damage. Walls, foundations, drain lines & more are no match for our leak test. Once we know where the issue is, our technicians can get the issue fixed fast. If you need leak detection, Capistrano Beach residents can call us 24 hours a day, 7 days a week at (949) 371-8413 to schedule an appointment. We can locate any type of leak, whether it is an emergency job or a small pin-hole leak.